One frustrated homeowner went to extreme measures to deter any intruders from trespassing onto his property. 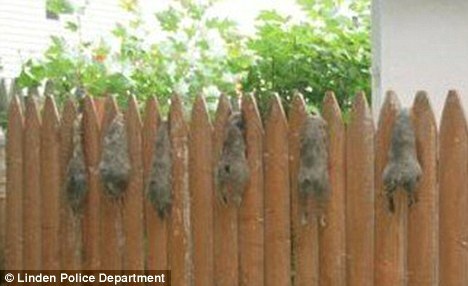 Robert Baird decided to take serious action against a gang of squirrels who were sneaking into his New Jersey home through a hole. When blocking the hole didn’t work, he got out a BB gun and began systematically killing them, after luring them in by spreading peanut butter over a tree in his backyard. The 49-year-old then strung the bodies of the squirrels along his garden fence – seemingly to warn other furry creatures of their fate if they trespassed. But the ‘trophy’ display of his killings also led to a neighbour complaining to authorities. Baird has now been arrested on animal cruelty charges and, if convicted, could spend six months behind bars. Detective James Sarnicki told Fox News that police found at least ten dead squirrels in Baird’s back yard, including about six hanging from the fence. ‘My theory is maybe he wanted the dead bodies to send a message to other squirrels not to trespass on his property,’ Sarnicki told Fox News Radio. 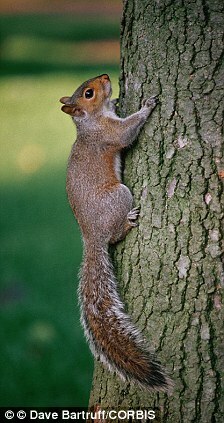 In Linden, New Jersey, it is against the law to shoot squirrels meaning Baird could have been charged with ten counts of animal cruelty for his massacre. 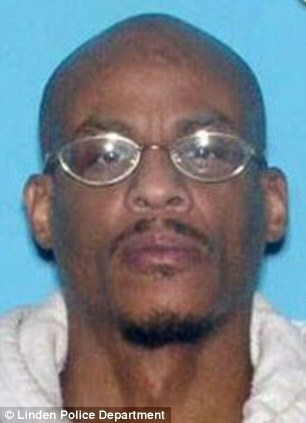 However, authorities said they didn’t want to see him harshly punished and charged him with just one count of cruelty. ‘We don’t want to see him be severely punished, yet we do want to send a message that there are other ways to handle animals that come on your property,’ Sarnicki told the radio station. The homeowner explained his frustration with the rodents to police, saying he initially blocked the hole they were using with metal. 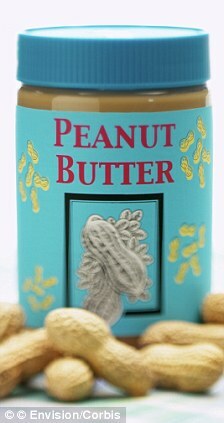 But when they got round the metal barrier he decided to set the peanut butter trap, police said. ‘He was taking them out on by one,’ Sarnicki said. Linden Mayor Richard Gerbounka told the radio station that he had never heard of someone being charged for killing squirrels. ‘But then again, nobody hung them up on their fence like trophies,’ he added. Officials have said the case should serve as a warning to homeowners not to take pest control into their own hands. If found guilty Baird could also be forced to pay up to $1,000 and carry out 30 days of community service at an animal shelter.